First of all, as a gamer, you will know that in the long run, the important thing is to have comfortable headphones with a microphone. So you can spend many hours of the game without being disturbed. It is also essential that they have a good sound quality that allows you to listen to the game and your teammates, and that they, in turn, hear you clearly. You already know that gaming headphones are headphones with a microphone. In this aspect, it is necessary to differentiate between headphones with micro for PS4 or for PC. It is also convenient that they are wireless headphones so you can move during the game with complete freedom. In addition, it is important that they have a good design and execution to support long game sessions. In the same way that PCs and laptops now have a powerful processing capacity, gaming headphones must also have sufficient technical capacity to satisfy the demands of the most intensive players. 7.1 Virtual Headset, battery with a long duration, very comfortable. It does not have Bluetooth connectivity or 3.5 mm port. Big but subtle. They are light and comfortable. They weigh 408 grams and have abundant padding. They come with a table base to place them while we do not use them. It also contains the connections for the computer or console. Although they have the Razer logo on the outside of the headphones, this logo does not light up like in other gaming headphones. The Thresher for PlayStation 4 is blue while those designed for XBox are green. The Razer Thresher Ultimate headphones feature a very robust construction and integrate two large 50 mm transducers that have a frequency range of 20 to 28,000 Hz. It presents measures of 196 x 214 x 104.8 mm, so they are much larger than other headphones in the market. In addition, they have a battery that can yield around 16 hours, enough for the most active players. Frankly good. The Thresher Ultimate model for PS4 and XBox has practically the same functions as the Razer Kraken. It is a virtual 7.1 headset that achieves excellent quality surround sound, ideal for playing. 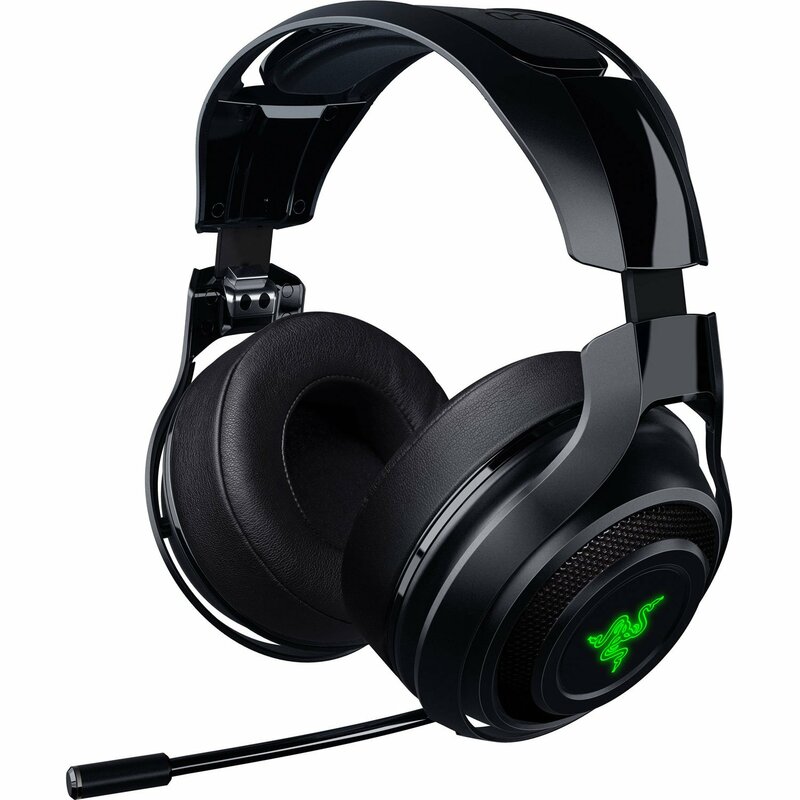 Razer Thresher game headphones are free to present lags during game sessions. Razer wants to show a great sound power with this model. The Ultimate Thresher sounds loud and clear. The smallest details are heard with a facility difficult to find in other models. The volume is handled with a rotating wheel located on the right side. It is not the most elegant solution, although efficient. As we have already remarked, they are virtual 7.1 headsets, so you hear the enemies approach from multiple positions. The separation of the sound is also very well achieved in these gaming headphones. The Ultimate Thresher does not use the new Sony codec called 3D Audio, although this is not an important point since so far there are few games that use 3D Audio. Limited Although it has an exemplary capacity to reproduce the sound of games or music (its quality has no competition in this section), its limited capacity of connectivity is a negative detail. The only way to get audio from Thresher Ultimate is through the console since it does not have a Bluetooth connection or 3.5 mm input. The design of this headset has been designed for exclusive use in games. These wireless headphones come with a sound transmitter. This is responsible for transmitting the audio information from your preferred console through an optical connection. The headphones, on the other hand, need to get power from one of the USB ports on the game platform. You will also find an additional USB port on the back of the base designed to charge these gaming headphones. The base integrates a switch to switch between the modalities for console or PC and an optical audio port that can pass the audio signal to a receiver, in case you prefer to experience the game audio through speakers. The most expensive of our comparison of gaming headphones. It is an excellent headphone with microphone designed for gamers. 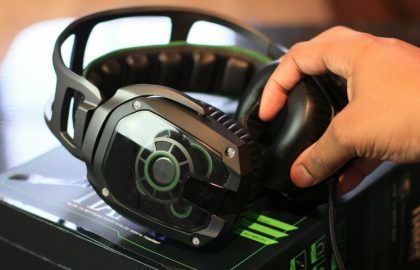 In the market, there is a varied offer among the best headphones for gamers, but the Thresher Ultimate model is special. It has a lot of power, a very clear and balanced audio, plus a very comfortable design to take long periods of time. However, their limited connectivity makes them exclusively designed to connect them to the console. That has its cons, but in terms of the purpose for which they were designed we can say that they are the best gaming headphones, it is difficult to find better in terms of quality. Sound quality, long-life battery, good design. 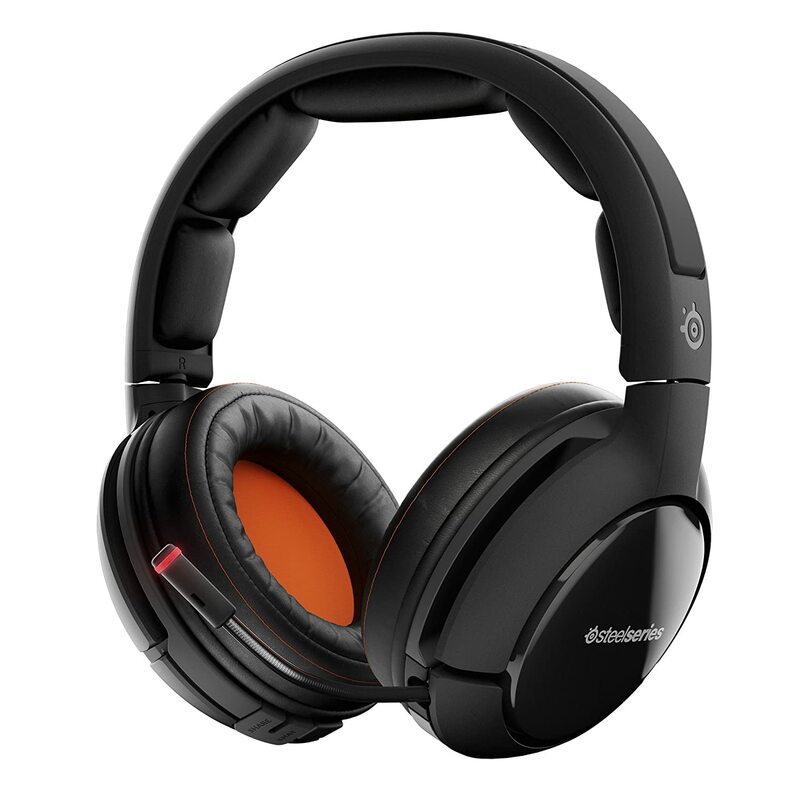 They possess the same characteristics of sound and compatibility to play like Steelseries. However, they do not have an elastic band, but a soft leather padding on the headband. It is important to know they are headphones with interchangeable batteries, a feature that gives a lot of play to more intensive gamers in critical energy situations. If you run out of battery in the middle of the game, simply remove the one that has been spent and place another one with a charge. In this way, you can play in an uninterrupted manner. The left cup hides a retractable microphone while the right has volume control and an on / off button that can also mute the microphone. In addition, it has two 3.5 mm ports that allow you to connect the Siberia 800 headphones to an Xbox or mobile device. The sound performance of the Siberia 800 gaming headphones is good. The sound is clear when playing any audio for video games and also has the ability to adjust and equalize to suit any personal taste. The voices obtained and emitted in the chat of an adventure game are very clear, and the same happens with the war games. The sound has an impeccable fidelity. They are 7.1 Virtual headphones and their Dolby Surround sound provides an immersive experience. You can recognize the origin of the sound, so you can intuit where each player stands at each moment. These gaming headsets provide adequate bass, in addition to clear and outstanding mid and high tones. They have a good volume capacity and do not become uncomfortable when using maximum power. Those users who seek the option of adjusting certain details of the volume, both in the chat in the game or the ambient sound, can do so by accessing the audio transmitter. On the other hand, the headphones with microphone Siberia 800 are an excellent option to listen to any type of music. When tested with JS Bach symphonies, or even songs by the Rolling Stones, these headphones with micro behaved more than acceptable and recreated each piece faithfully. They serve perfectly to watch TV or a movie. The Siberia 800 model comes from the well-known series SteelSeries H Wireless, which was built to run smoothly with any gaming platform. To facilitate this versatility, the Siberia 800 gamers headsets come with a collection of cables to ensure that any platform, such as Xbox 360, Xbox One, PS3 and PS4, and also PC’s or mobile devices, can receive and transmit audio. The Siberia 800 gaming headphones are an excellent choice, both for playing and listening to music. Those gamers looking for control in the equalization can take advantage of this model, as well as PC players who prefer to handle the audio hardware. Headphones are highly valued by professional gamers. 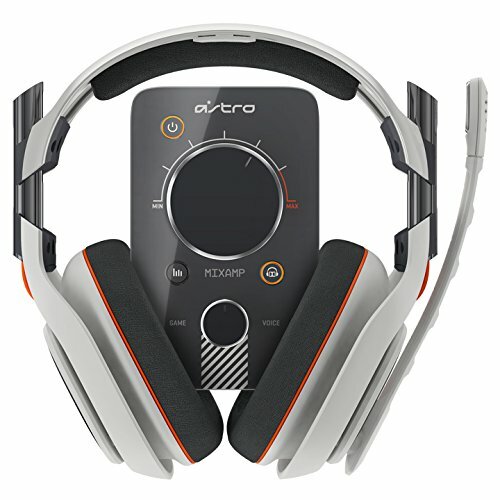 Although the Astro A40 MixAmp M80 gaming headphones are a little more expensive than the competition they have and had a good acceptance among professional gamers due to its excellent wired connection. This type of connection makes them more reliable in places with many people, such as professional tournaments. On these occasions, the cable connection eliminates the risk of interference. The design of these gamers headphones with cable is open. It means that external sound can filter into our environment. If it is an inconvenience for you and you want to avoid it, we advise you to buy the model A40 TR mod Kit. This kit includes two extras: a rubber protection that protects the ventilation, and a leather element for the cups that better isolate the external sound. Good. The Astro A40 TR gaming headphones sound loud and clear, although they give a little more priority to the bass over other notes. Both the dialogs and the shots sound correct. The sound mix is not that it is impressive, but it is not that it is a critical aspect and any model can produce a sound as efficient as a speaker system. The A40 TR carries two 40mm transducers in each cup. They have an option to modify the different sound profiles through the MixAmp Pro TR. When we tried them listening to music we had a very solid performance. There are no controls in the body of these gamers headphones since everything is handled from the MixAMP (with the exception of a button that allows to silence the sound). What is MixAmp? It is a plastic box that contains controls for the volume on top, as well as others to handle Dolby sound, equalization and on / off to the sides. It also has a smaller controller below these that allows you to modify the sound while we play, as well as our voices in the chat. The MIxAmp offers several connectivity options: the rear has a micro-USB port, an optical input and an additional 3.5 mm auxiliary output. The front panel has a 3.5 mm connector for the headphones and an additional auxiliary port. These gaming headphones come in two versions: one, with headphones for PS4 or PS3, and another with headphones for the Xbox One. Both versions can be used with PCs without difficulty and can be connected directly to any mobile device. The Astro A40 is one of the best gaming headphones. It is true that they may be a little more expensive than their competitors but they have great acceptance among experts. We believe that the latest version of the Astro A40 is excellent. The company Astro provided perfect design and sound engineering for use by professional gamers for this model. In addition, the connectivity options of the MixAmp are great. Excellent sound quality, the most comfortable we’ve tried. Expensive, they do not include additional cables for connection. The Turtle Beach Elite are the best headphones with the microphone that the New York company has manufactured. The frame is made of metal and black plastic for the bands and cups, and a synthetic leather fabric that covers the headphones to provide them more comfort. A secondary padded band stays suspended under the main band and provides an adjustable strip that suits any user. They are some of the best headphones we have tested in terms of comfort. The materials with which they are made ensures that they can be used without discomfort in long sessions. The boom microphone connects to a port on the left cup. It can be removed or replaced and is mounted on a thin, flexible metal arm that can be easily adjusted. These gaming headphones have a sound quality more than remarkable. The frequency response is not as flat or focused on studio music as the Sennheiser’s, but the Elite Pro covers all frequency ranges without noticeable defects. They have a great balance between all the tonalities. They emit bright and clear mid and high tones. While the bass does not produce a surprising response, they have good depth and clarity. Even when using them at high levels we have not found any noticeable distortions. These gamers headphones do not have controls on the body. They have an audio connector tube that extends from the bottom of the left cup. This is designed to be used with the headphone cable, which has a 4-pole termination to connect the headset to most of the available mobile devices or consoles. The tube ensures the proper connection of the cable. If you want to use the headphones with two 3-pole 3.5 mm cables you must get an extra adapter. This is necessary for use on a PC or any other device that has separate ports for the microphone and headphones. Micro Turtle Beach’s Elite Pro hearing aids offer fantastic audio quality under one of the most comfortable bodies we’ve tried in this category. They are among the best gaming headphones in the market. Robust and comfortable construction, clean sound, powerful bass. Compatible with: PC / Mac, PlayStation 4, Xbox One, smartphone. The innovative design of the V-MODA headphones is based on 3D printing. Thanks to this, these headphones for gamers can be personalized with their own logos, choosing also the materials, which include metals such as gold and silver. As for the design, we find it quite attractive and novel. 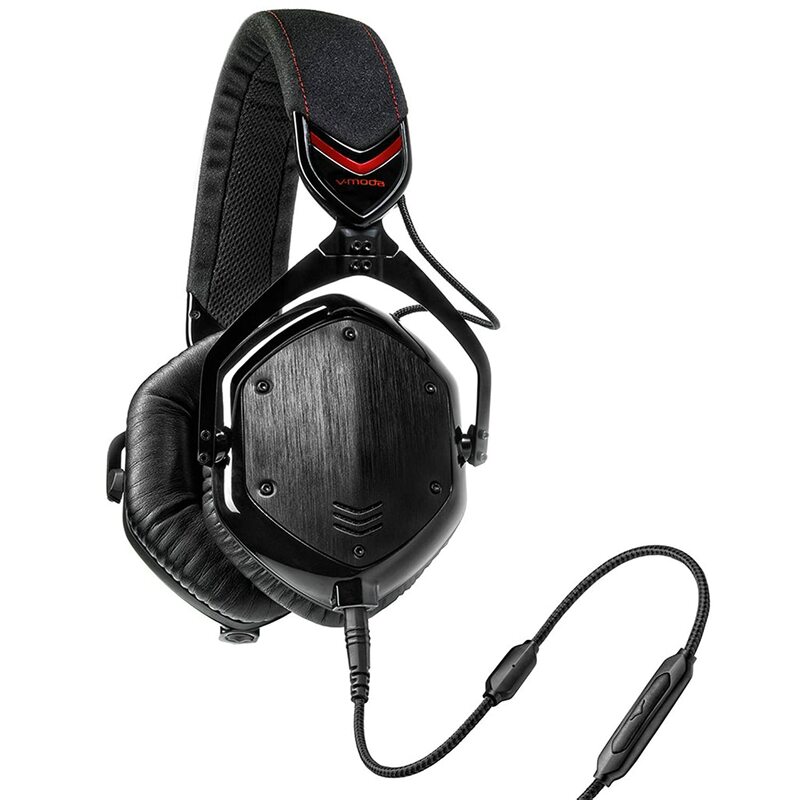 In addition, the V-MODA headphones are strong and lightweight. According to the manufacturer, these gaming headphones have endured the toughest tests of resistance to falls and have a very resistant headband. The materials and manufacturing methods of the V-MODA Crossfade M-100 headphones are up to MIL-STD_810G military standards and we have no doubt in incorporating them into our comparison of the best gaming headphones. On the other hand, the ear cushions are made of memory foam that allows an excellent adjustment to the contour of the head and an isolation to the exceptional external noise. To save them, they can be completely folded using their double hinge system. They come equipped with an exoskeleton type case of semi-rigid material that provides additional protection while they are not in use. The sound quality of the V-MODA crossfade headphone is excellent. They have 3D sound for a total immersion in the game and the basses are powerful and without distortion. The media is clearly heard, which makes it easier to chat during the game or simply use them to answer calls. These sound characteristics are achieved through its dual 50mm diaphragm, the adjustment and design of the parts to avoid unwanted vibrations that introduce noise and excellent sound insulation. It should be noted that it does not have active noise cancellation systems . However, the absence of any digital electronic sound processor also reduces the loss of sound quality. On the other hand, the 3D sound is achieved with an exclusive system of air circulation through the headphones, minimizing losses. Dual input and V-CORK: With these cables, you can mix two sound sources at the same time or chain other headphones. Additionally, the V-CORK protects the entrances when they are not in use. Speak-easy microphone cable: Specially tuned for speech recognition and to be able to speak in noisy environments. The control is compatible with virtually all brands of smartphones: iPhone, Android, Samsung, Windows, and Blackberry. Audio cable Share Play: To share your music without additional adapters. If you are more interested in the sound that gaming headphones can emit, than the striking design with LED lights and extras of such nature, then V-Moda are the headphones for you. Their cups are very comfortable for the ears and also emit a sound with power and a lot of bass force. The medium and high tones also achieve a remarkable sharpness. Good sound, a wide range of wireless connectivity options, retractable microphone. They do not integrate a wired option for the connection. The Razer ManO’War gaming headphones feature a luxurious design with bright plastic details. Like the Razer Kraken headphones, this one also have abundant, soft and comfortable padding to withstand long hours of play. Color cycle, changing in all colors. Light type breathing mode that fades and lights in a color that we choose. Because the microphone is completely retractable in the left earphone, it can be adjusted to the desired position of the gamer. 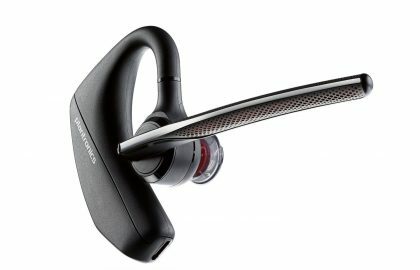 It has small wheel controls on the headphones to quickly regulate the volume levels of reproduction and the microphone. In the same way as other Razer brand gaming headphones, the padded cups of the headphones can be easily removed to exchange or replace. These wireless headphones feature exceptional battery life that allows approximately 7 days of play in multiple sessions or 14 hours of continuous use on a single charge. In terms of sound quality, the Razer ManO’Wars are another 7.1 headset with surround sound that is so characteristic of the brand. This audio provides precision in the perception we have of the distance and position of the enemy or team members. The bass and treble reproduce with excellent clarity and clarity. To achieve this, they use highperformance 50mm Neodymium transducers that enable high fidelity reproduction. With a good microphone, it is one of the best wireless signals in your price range and possesses very clear sound. Man O’War of Razer is undoubtedly among the best gaming headsets in the market. With 7.1 surround technology you can hear every step and position of the opponent in the game. It provides an excellent performance that limits possible lags when playing. Something small for some heads. Compatible with: PC / Mac, PlayStation 4, Xbox One, VR, Smartphone. The 3 models of headphones for gamers of the SteelSeries Arctic series deserved a gap in our comparison of the best gaming headphones in their own right. All have an elastic cloth band on the top of the headband that the manufacturer calls Ski Goggle. On the one hand, they reduce the weight, and on the other hand, being of fabric, they resist sweating. Another advantage is that the elastic fabric band can be removed, easily releasing the Velcro for washing. This elastic band is customizable and has a wide range of options. Warning! : if you are one of those people with a larger than normal almond, we recommend that you try them before because they are something small for some. The padded cups of Steel Series Artics 3/5/7 gamers are designed to provide comfort and keep the area around the ear free of sweat. This is possible thanks to its Air Weave technology that takes advantage of the air circulation in the headphones. They are headphones with recording studio technology for gamers. And it is that in terms of the sound quality of three models of Steelseries Arctic headphones, we can say that it is excellent and versatile. These gaming headphones can not only be used to play online, but their sound quality is so good that they can be used to listen to music or watch movies. You should know that all models have 7.1 surround sound and a fully retractable microphone with cancellation. Another interesting aspect is that the transducers are of Neodymium of 40mm with very low distortion sound. In the case of the models 5 and 7, the headphones incorporate a control to balance the volume of the sound and of the chat, diminishing or increasing each one of them according to our preferences. The most notable thing about these headphones is the microphone. Here the company Artics emphasized in differentiating itself from the competition. Since the microphone is an essential part of the headphones to play, the company Artics was not satisfied with adding a conventional unidirectional microphone but added a bidirectional microphone. The microphone captures the sound in front of and behind it, in a space between 2 and 8 inches, discarding any noise that may exist outside that reduced field. In this way, the only thing he perceives the close voice, avoiding the bustle of the environment. On the other hand, the microphone hardware is designed to filter out low-frequency sounds, emphasizing the capture of the voice that is in the middle frequencies of the sound spectrum. Artic calls this Clear Cast technology because it is inspired by the microphones that are used in radio stations and recording studios. The Artics 3 is compatible with PC via 3.5mm mini-jack connector. 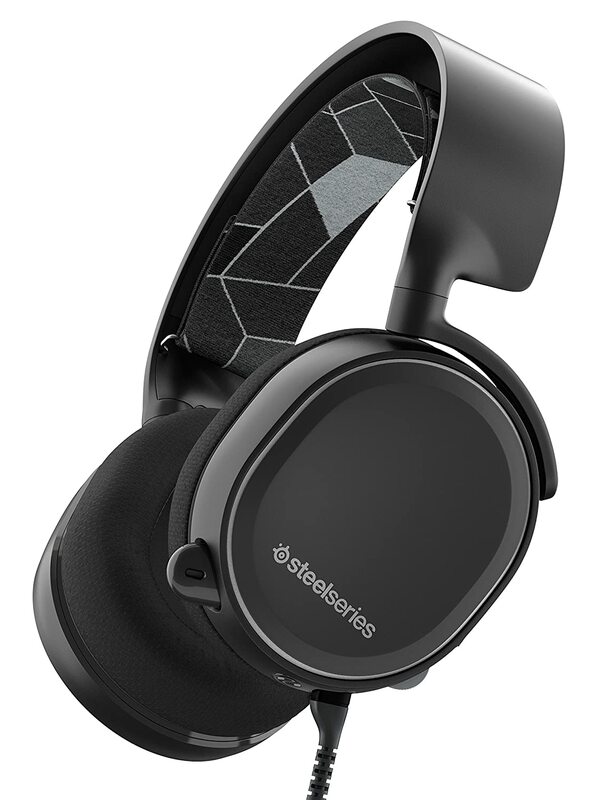 On PC you can enjoy 7.1 adjustable surround sound using the SteelSeries Engine software. On the other hand, on Apple MAC platforms, Playstation, Xbox, virtual reality VR and mobile, it is compatible via 3.5mm connector. The Artic 5 is also compatible with multiple platforms. First of all, with PC via USB cable, you can use software to activate surround, DTS, SteelSeries Engine 3, That mix and RGB lighting. On Mac, also via USB, it is compatible with SteelSeries Engine technology, That mix and RGB lighting. In the case of PlayStation platforms, it connects via USB and can use RGB lighting technology. For VR or mobile virtual reality devices, it has an adapter to connect via 3.5mm. The Artic 7 is also compatible with virtually all devices. This model can be connected both wirelessly and with cable, by USB and by 3.5mm connector. The headphones of the Steel Series Artic 7 wireless model have an extra long battery that lasts up to 24 hours with each charge. In this competitive world of video game headphones, we find Steel series headphones that have two characteristics that distinguish them from the rest: firstly, the elastic band of the headband is customizable with an immense amount of designs available. Secondly, its bidirectional microphone providesighqualityvoice capture and noise cancellation. The Artics models emit a good sound and also present the option of equalization through the SteelSeries Engine 3 software. The surround effect achieves an effective surround sound and has good directional power. They are also very comfortable thanks to their light weight, so we place them among the best headphones for gamers without thinking twice. Spectacular design, good sound quality. No negative aspect to point out. Battery: 12 hours (without lighting). The Logitech Artemis Spectrum gaming headphones have a stunning and futuristic design. The band and the cups are made of black plastic and memory foam rubber cushions the area of the ears. The interior of the band is covered by a soft fabric to give greater comfort at the time of use. The cups of the headphones with the microphone have the appearance of irregular pentagons, which gives them an almost science fiction look. The right cup has the controls and connections. This includes the buttons for mute the microphone, for the ignition and three programmable G buttons. They also have a wheel to control the volume, a micro-USB port and another auxiliary 3.5 mm. On the edge of the left cup, we find a microphone that leans to the rest of the cup when it is not in use. The pentagonal panels of each cup are magnetically held and can be removed to reveal the RGB lights that illuminate the translucent G logo of each panel. The left panel also hides a wireless USB receiver, and the right one a removable battery. The G933 are 7.1 Virtual headphones offer Dolby surround sound. When the headphones are connected to a PC the channels are individually adjusted through the Logitech G application. The audio mix produces good effects in general. Since it is a sound Virtual Surround, obviously we can not compare to the real immersive experience of a 7.1 system, it would have 7 speakers plus the subwoofer, but the sound effects are quite achieved. Further, the sound quality of these headphones is excellent. The constant shots, grenades, cartridges and each sound were distinguished in detail when tested in the newsroom. We believe that the best gaming headphones should sound good with any audio, and these are no exception. The G933 also made a good quality sound when we tried them when listening to different musical genres. They have deep and powerful bass that does not detract from the other frequencies. 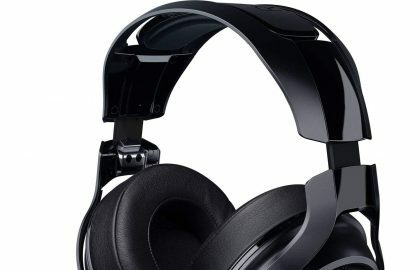 The headphones include a micro-USB cable for charging, a 3.5-mm audio cable with microphone input, a 3.5-mm RCA cable to synchronize the headphones with the Xbox 360, PlayStation 3-4, or any source audio with RCA input, and also bring a 3.5 mm-2.5 mm adapter to connect with the controller of an Xbox console. Thanks to the number of cables and adapters that comes standard, the G933 model offers a wide variety of connectivity options, both for PC and game consoles. The USB wireless receiver can work with PC or PlayStation 4 directly. It also has a 3.5mm input designed to be used with the RCA cable, to accept audio from the stereo RCA sources of the Xbox or PlayStation 3. 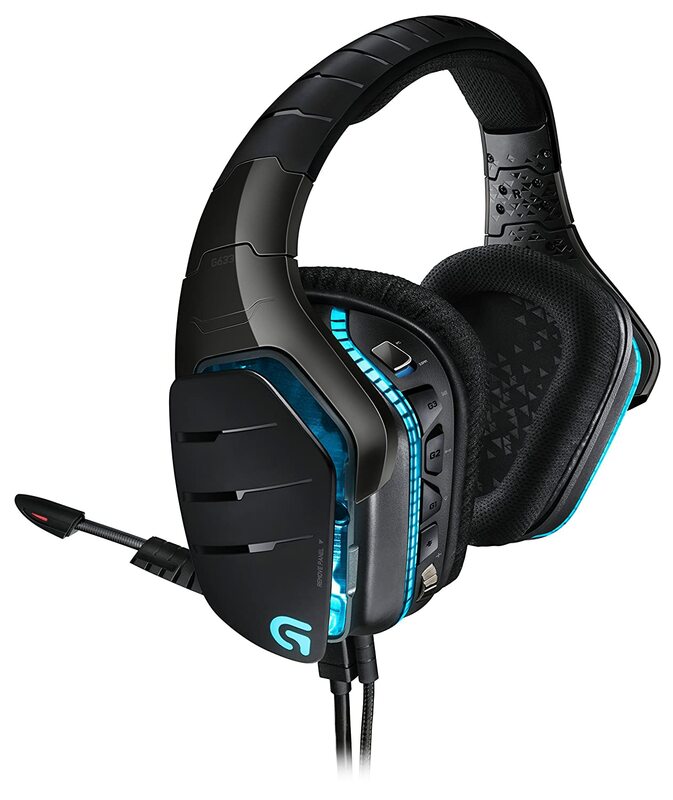 The Logitech G933 Artemis are the best gaming headphones that are currently on the market. They are comfortable, with a very worked design and have an excellent sound. In addition, Logitech provides a variety of cables to connect headphones with any sound system. Somewhat expensive, they do not have equalization modes. First of all, they are quality gaming headphones. The Sennheiser Game One is presented under a well-finished and elegant white plastic, with black padding around the cups and the band. The plastic is solid, but also, light (positive point). 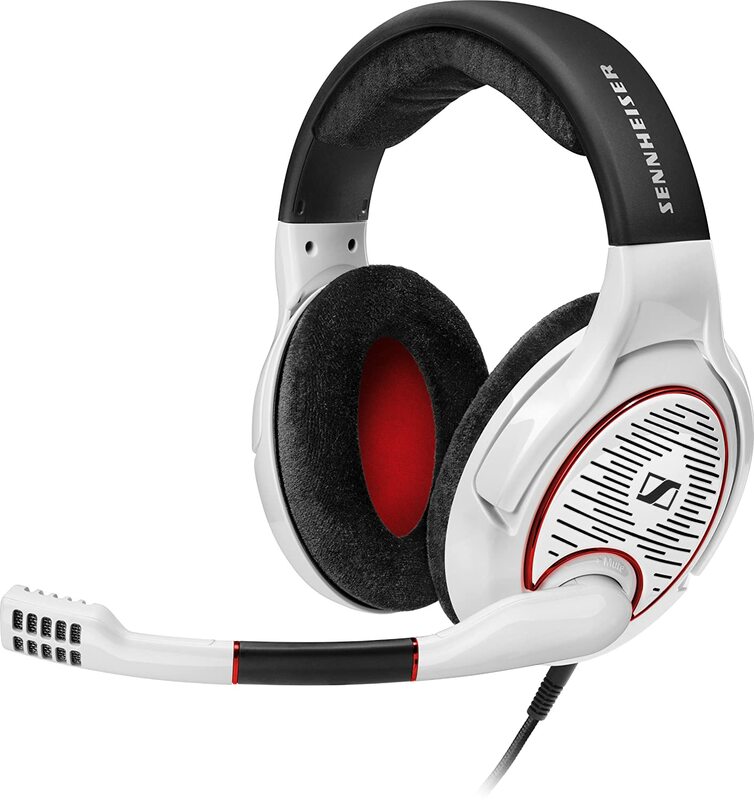 The Sennheiser Game One is comfortable and perfect to use in long sessions. A boom microphone on a flexible arm is found in the left cup. The right cup has a wheel to control the volume. There are no controls for the microphone, you just need to move it up to mute it. If we removed the microphone and we incorporated some metal to the band, these headphones would go through their audio quality by one of the models to listen to music from the famous Sennheiser brand . The Sennheiser Game One gaming headphones sound excellent and are among the best headphones in terms of sound fidelity. And they perform very well when playing any musical genre. They emit powerful bass and sound with a lot of volumes and little distortion, even at high levels. While most gaming headphones feature a sound design that raises low and high tones to emphasize special effects and dialogues, the Sennheiser Game One presents a flat that can satisfy any music lover. They do not try to adapt the audio to specialize in the sound effects of the games, but rather focus on keeping the sound output as clean and correct as possible. For music and soundtracks, this is fantastic, since it makes any genre, from hip-hop to classical music, sound with a remarkable richness as it does not detract from the importance of medium and high tones. As for the games, the Game One headphones also sound excellent, although they do not have virtual surround sound or a more suitable profile for this type of audio, something that many gamers prefer. Music lovers and gamers are usually two different types of profiles. Those looking to experience music exclusively are looking for headphones that offer the purest sound possible, while gamers may prefer that the audio suits their needs. Sennheiser has tried with this model to unite these two worlds, although in terms of the quality of sound leaves a little aside from the demands of players seeking an enveloping sound. Despite this, they sound very good in whatever use they are given. 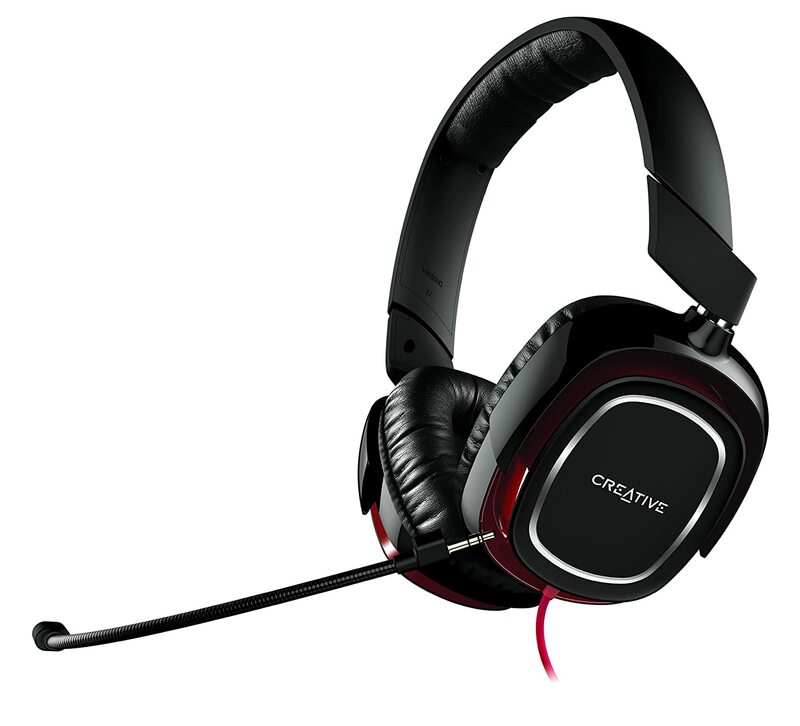 Good options to customize the headset, lightweight construction, 7.1 sound. The USB connection limits its use to computers. Compatible with: PC / Mac. Good looking! These gaming headphones not only project a good image but have a wide headband with enough cushioned material and a special fabric to prevent and absorb sweat from the head. On the other hand, the padded parts of the headphones can be easily removed to exchange them. It is also possible to place circumaural oval pads 60mm x 70mm so that the ears are inside the headphone or circular 56mm type over the ears. They come standard with those of the circular type (those of the oval type should be purchased separately). The Razer Kraken 7.1 Chroma are quite cushioned: its foam rubber lined with synthetic leather is very soft and comfortable. On the other hand, the padding of the headphones provides excellent isolation from external noise so you can concentrate fully on the game. The connection of the headphones is made through a cable with the USB connector. Another advantage of the design of the Razer Kraken is its weight and resistance. It is built of an aluminum and bauxite frame that gives it a very light weight. 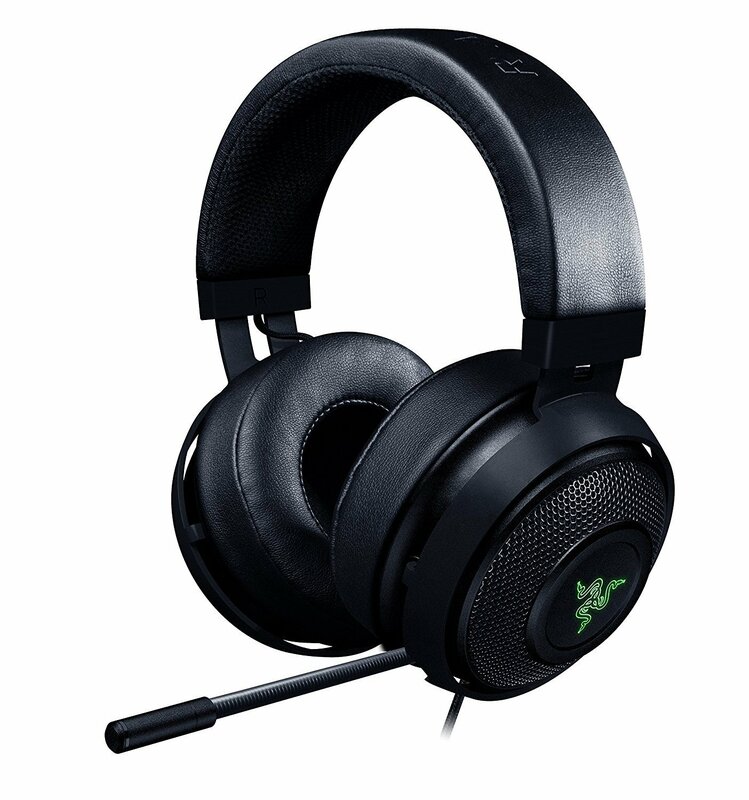 The sound system of Razer Kraken gaming headphones is one of its most notable features: they are equipped with an advanced 7-channel virtual surround system. With this, Kraken achieves that our auditory system locates the sounds so that we can distinguish in space the position of the sound generated in the game. This is very important in war games to accurately locate the enemy’s position. In addition, with application Razer Synapse it can completely customize the location of channels to suit our preferences and auditory features. Another advantage of the Razer Kraken 7.1 Chroma headphones is that they have 50mm diaphragms, larger than the previous models. This larger size adds comfort, power and above all, clarity to the sounds. On the other hand, the retractable microphone of the headphones has an active system of noise cancellation. This aspect will allow you to give instructions, converse or ask for support from your team in a clear way filtering the noise of the environment. A note: Noise cancellation is only available when you connect headphones to your PC or Mac. One of the biggest differences in the case of the Razer Kraken Pro V2 is that it uses a combined 3.5mm mini-jack connector, while the Kraken 7.1 V2 uses a USB connector. 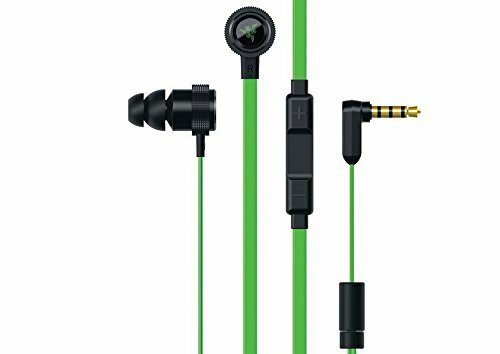 Razer Kraken 7.1 V2 headphones are only compatible with PC and Mac, while Razer Kraken Pro V2 headphones are compatible with PC, Mac, XBox, tablets and mobile devices, through the 3.5mm mini jack. Another difference is that the Razer Kraken Pro V2 only have 7.1 surround system through the Razer Synapse application on PC and Mac. In addition, the Kraken Pro V2 has no color lights or noise cancellation in the microphone. The Razer Kraken 7.1 Chroma gaming headset is one of the best gaming headphones of 2018. They are designed so that we can spend long sessions with them and enjoy an exceptional quality of our favorite video games. While some manufacturers focus only on style or sound, these headphones present the complete package and achieve great performance. Virtual surround sound, good design, wireless and comfort. Virtual surround is only available for PS3 or PS4. Compatible with: PlayStation, PC / Mac. These wireless headphones with microphone for PS3 or PS4 have a minimalist design in white or blue and black. They have a solid bow and long cups on each side that can be adjusted for comfort. The sides of the headphones have plates that can be extracted by other options that will surely be sold by the company in a short time. Meanwhile, the design uses Sony’s console buttons on both sides. These gamer headphones are big and comfortable. The cups are covered by leather and integrate a good quality microphone. They are ideal for prolonged use. All the controls of the PlayStation Gold headphones are in the left cup. The power on also allows you to switch between two customizable audio profiles using the PlayStation Headset Companion application (available for download at the PlayStation online store). It also has two buttons to increase or decrease the volume, another that allows you to balance the game’s audio and the multiplayer chat. They also have one button to mute the sound and another to switch between virtual surround sound or stereo. The PlayStation Gold is 7.1 Virtual headphones. Sincerely, we have heard quality headphones with better sound, but for the price, the PlayStation Gold provide good power and sharpness when watching movies or playing. We tried them playing Killzone and Call of Duty and the most delicate tones of these games are captured notably by the virtual surround sound 7.1 of the helmets. As a negative aspect, we can point out that they do not have the frequency range of headphones with a higher range microphone, although the different tonalities are clearly perceived. We believe that despite everything, the performance is correct when watching movies thanks to virtual surround 7.1. If we use the factory settings, the bass is perceived with low power due to the sound design. To modify the profiles we must install the PlayStation Headset Companion application, since the headphones do not have controls to adjust them. From it, we can adjust the low, medium and high tones easily to adapt them to our taste. Connecting these PS4 wireless headphones to our console is simple. They come with a small USB adapter that should be plugged into the front of our PlayStation 3 or 4. When you turn on the gamers headsets on the PlayStation 4 an on-screen signal will be launched to assign the headphones to an active user. A practical note: the system recognizes the gaming headphones without the problem but we must access the audio settings to indicate that the sound of the console is emitted via the headphones. Being a wireless headset, the PlayStation Gold is compatible with PC and Mac through the USB adapter. They are also compatible with PlayStation Vita, although in this case the 3.5mm auxiliary cable included with the purchase must be used. 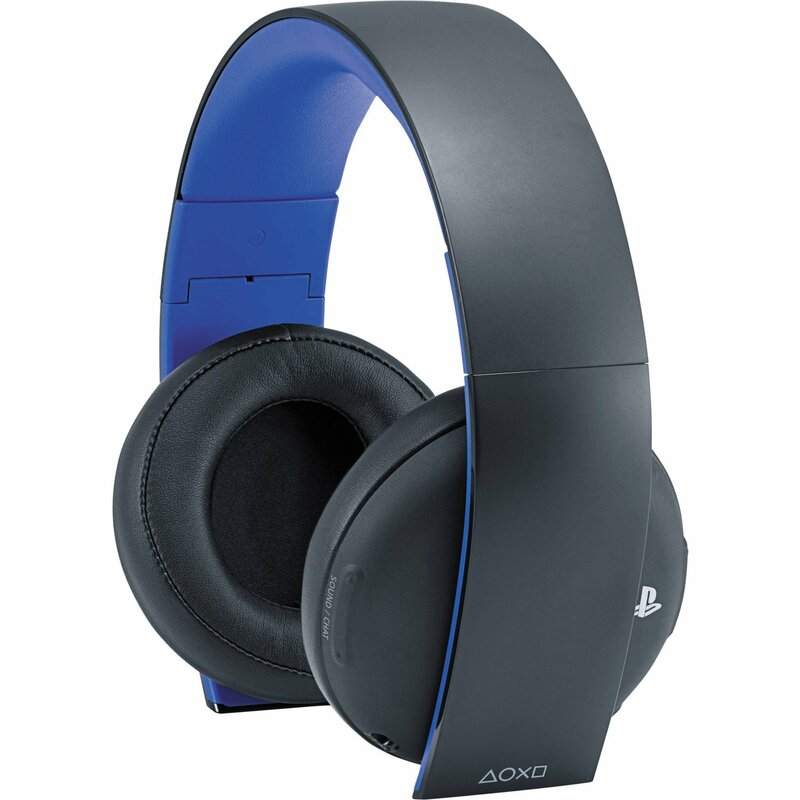 PlayStation Gold headsets can also work as hard-wired headphones and use the 3.5mm auxiliary cable to connect MP3 players, mobile phones or any other mobile device. We will not get 7.1 surround sound, but the stereo mode performance is quite acceptable. A very good option for those users who need a PS4 wireless headset. Its clear sound, 7.1 surround mode, and an affordable price make PlayStation Golds headphones an ideal choice for use with the Sony platform . Surround sound 7.1, extra pads, good connectivity. Bass and high tones stand out from the media. Compatible with: PlayStation, PC / Mac, Xbox, VR, smartphone. 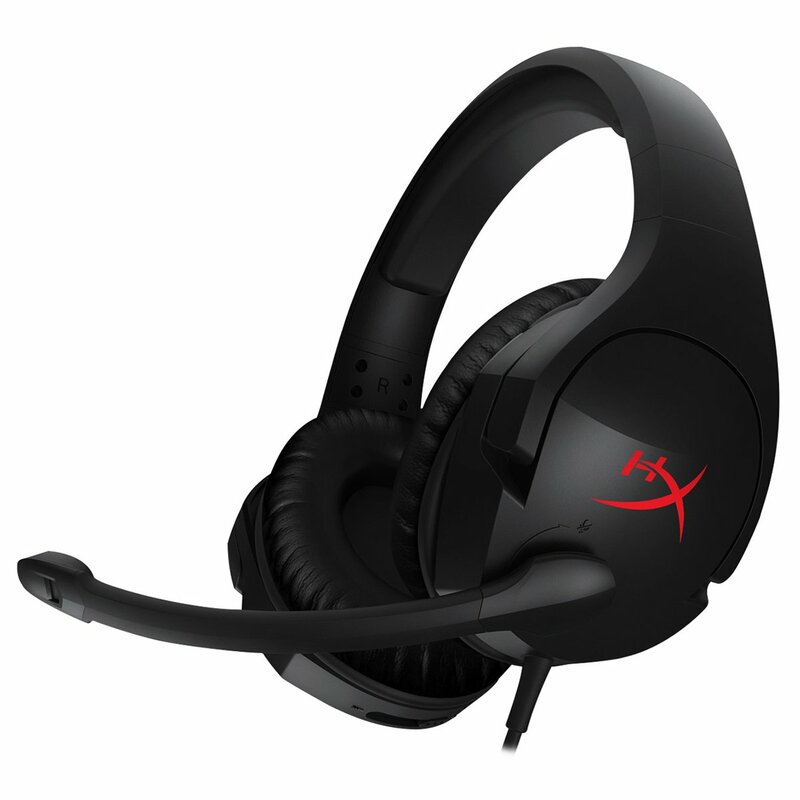 These are headphones with HyperX Cloud II gaming microphone come with a USB sound card and come with a short cable with 3.5 mm output. The sound card has a much longer cable than other headphones and also has a USB terminal. Both are coated with a protective cloth. The band and the cups are covered with a leather material which is very pleasant to the touch. They are comfortable and light, so they are suitable for long gaming sessions. These gaming headphones have a removable microphone integrated into the left cup and have a rubber stopper to hide the gap that appears when the microphone is removed. The design, moreover, is more reminiscent of a pair of medium quality headphones than a product for gamers. They are well built and are resistant. They come in metallic/black, red/black, and pink with white colors. In addition to the USB sound card and the microphone, the company adds a sturdy cargo bag made of nylon, large enough to carry all the accessories. The purchase also includes a second pair of pads made with a lighter and open material. 7.1 Virtual surround headphones, that is, they mix the left and right channels of the headphones to produce an enveloping effect. However, as in most mid-range gaming headphones, surround sound is virtual since up to now it is impossible to achieve surround sound from only two transducers. The effect achieves, however, a dynamic range of expanded sound. This does not mean that the audio quality is bad, much less, because they have a great power and a very detailed sound at all frequencies. The HyperX Cloud II amplifies the high and low tones that manage to exalt the sound of explosions and shots, and its performance in this section is ideal for players. These gaming headphones can be used comfortably, by removing the microphone, with any mobile device. We have been testing and listening to several songs. The headphones behave very well. When using the maximum volume we do not perceive any noticeable distortion. As with video games, headphones favor low and high tones over the media, although they are clearly visible. In general, the sound quality is very good for listening to music. The USB sound module that comes with the gaming headset offers a USB port to connect the headphones, individual volume controls for both the headphones and the microphone, a switch to mute the sound and a button that activates the 7.1 surround sound. These 7.1 gaming headphones can be used with any device that has a 3.5 mm output, including the PlayStation 4 and Xbox One, through the output of the headphones. For use on PC, it is recommended to use the USB adapter of the sound card. Serves as a digital-analog converter ( DAC), and it enables the surround sound, in addition to allowing the USB card to handle all the audio processing. The Cloud II are good headphones with a microphone. They perform well, both when playing and listening to music. The microphone can be removable, so it can be used with any device without the problem. We believe they are some of the best-wired headphones for gamers. Light and comfortable, economical for its benefits. Low quality of the bass tones and microphone. Compatible with: PC / Mac, PlayStaion and Xbox One (with adapter). The Draco HS880 gamer headphones feature two 40 mm transducers that have been specially designed to play. They are light and comfortable. The design is simple when compared to other gaming headphones and the construction is resistant despite its light weight. 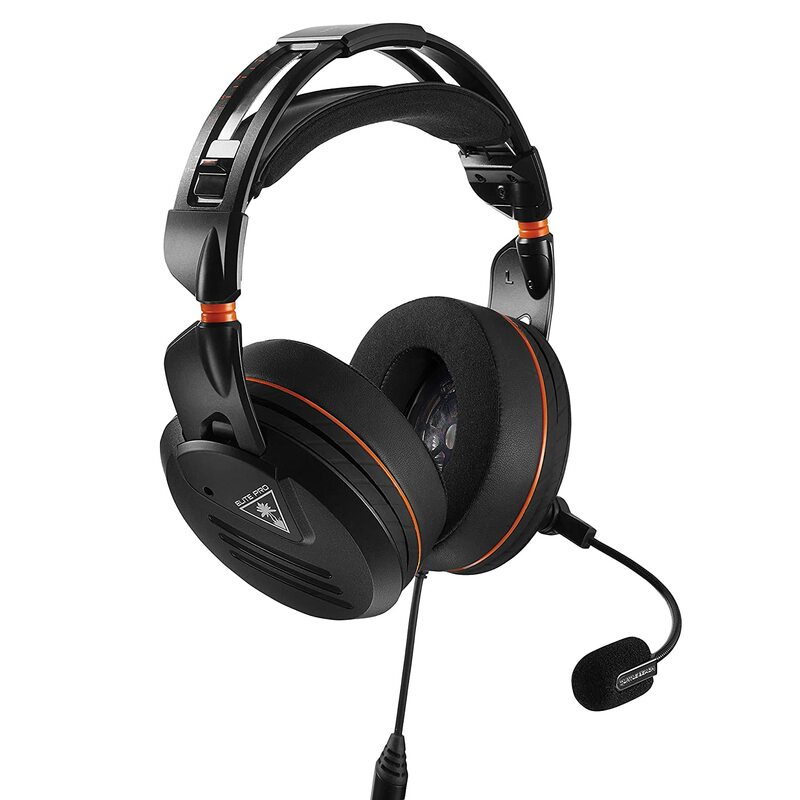 They also have a detachable microphone For any user who needs a pair of affordable and good quality headphones, the Draco HS880 s an excellent option, perhaps the best over-ear gaming headphones in value for money. The construction quality of the Draco model is comparable to that of gaming headphones that cost more than double its price. They are made of plastic with memory foam rubber coverings and have an over-ear design. They are comfortable enough to use in long sessions. After trying these headphones with microphone playing The Witcher: Wild Hunt on a PC, we were surprised with the quality of the sound. It is stereo, but each channel projects a map that is perceived very clearly. The quality goes down a bit with respect to the low tones, although it is not annoying when playing. In general, the Draco PC headset reproduces the audio of the games very clearly and faithfully. Each sound of the entire sound spectrum is very discernible. We have not perceived distortions, even in high volumes, which is surprising for a gamer headset of this price. The Draco HS880 model works quite well when playing music as well, even though they are designed as gamers headphones. This has to do with the adequate capacity of the transducers to transmit a relatively flat and clear sound. The Draco HS880 cable is divided into two points: green and yellow, to connect the audio of the headphones and the microphone on a PC. If you want to use it in other consoles, on the other hand, you will need an adapter commonly called 4-pole, to convert both connectors into one. They are easy to obtain and very economical, so it is not a serious problem, although it is somewhat disappointing that the company has not included one in the package. We tried the headphones with the mic on a PS4 with one of these adapters and it worked without problems. These headphones with microphone are light and comfortable. They also work very well when playing on a PC. The sound is balanced and sounds good on other consoles such as the PS4 or Xbox One with the help of adapters. They are available for a price of around € 40. For us it is the top choice: one of the best options among the best cheap over-ear gaming headphones . Resistant, compatibility with Android and iOS, good construction. The bass sticks out in the mix, poor sound insulation. Compatible with: PC / Mac, iOS and Android smartphones. The Razer Hammerhead Pro V2 maintains the same aluminum body as the original model, which gives a durable character to these gamer headphone. Razer got rid of the motto ” For Gamers, by Gamers “ that was in the headphones of the V1 and replaced it with the logo of the company. Around the logo, on the outside of the cups, the V2 has a ring to make it easy to grab the headphones. In an attempt to make the headphones suit each player, Razor provides four different sizes of cushions for the cups. Among the things that change with respect to the predecessor model is the cable. The Hammerhead Pro V2 features a flat cable and anti-tangle. The new model seems more durable than its predecessor. In addition, the company adds a protective bag to transport the Razor microphone headset. Under the right cup, we will find a microphone and controls that work with Android and iOS. Android users will not have all the controls that iOS users have. For example, Android users will not be able to skip the song by pressing three times on the control. Hammerhead Pro V2 gamers’ headphones are versatile. They are designed to work well for both video games and music players. After testing them we have proven that they handle decent audio, no matter what we listen to. Of course, the Hammerhead Pro V2 headphones feature a factory sound design that favors the bass. While for our taste these are very important in the mix but we participate in a less colored sound, fans of genres such as rap and electronica will enjoy them. But if you are a fan of rock, classical or country music, you will regret that the bass chokes a bit to the mid tones of the voices. For games, however, they work perfectly, although we believe that there are better options in the market in terms of sound quality. As against, we can mention that the Hammerhead Pro V2 does not isolate the sound properly. When we used them in front of a PC, we could hear the sound of the keyboard above the music. This is a bad thing for those adventurers who need a headset to use on trips. The microphone has the ability to transmit clear voices for different chats of players. We can also make calls with ease when connecting to a phone. Razor also adds an adapter for use with older computers that have separate ports for microphones and headphones. With the second version of headphones Hammerhead, Razer wanted to build hooves able to highlight both good games as when playing music. For the price at which they are available, they find strong competition in the market for the best gaming headsets. The Sennheiser, for example, have better insulation and sound balance. 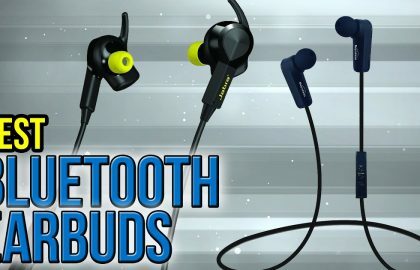 However, if you are looking for some headphones in-ear with powerful bass, build quality and functionality appropriate games, these headphones are a good choice. Lightweight, good sound quality and microphone. They are not suitable for people with small ears. The Mad Catz ES PRO 1 headset is different from any intra-headphone we’ve seen. 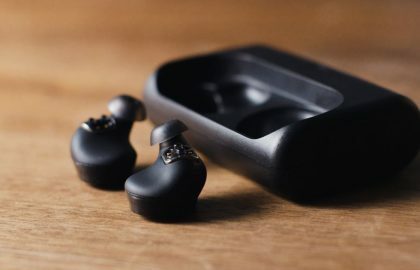 They are somewhat large compared to other in-ear or in-ear headphones, so they can be uncomfortable for people with small ears, but have a good aesthetic style. The green color predominates in the design along with some black components. The ES Pro 1 has safety hooks to keep the headphones in the ears. In the left headset, the company integrates a microphone mute button and a slider to raise or lower the volume. The Mad Catz ES PRO 1 comes with a protective case for when we are not using them. The package also adds a pair of additional pads and hooks for different types of ears. The gamers headphones come with a detachable microphone that also has noise cancellation technology. The Mad Catz ES PRO 1 mic headphones come with a large 13.5mm transducer in each cup, which provides a wide and good quality sound. The bass sounds somewhat loud but does not seem to overshadow the mid and high frequencies. These frequencies are clear, even in genres that have a lot of basses. When we tried them with music, the performance of the headphones seemed very good. The vocal of the song Lets’s Groove of Earth Wind and Fire were heard very full frequency range and found it adequate. Each tone is perceived clearly and delimited. The quality of the microphone is remarkable. It provides clean voices and also cancels external noise effectively. We can even use it to answer calls from our mobile phone or conferences if we wish. The Mad Catz ES PRO 1 headset can be used with any device that has a 3.5 mm input: PC, laptop, game consoles and can also be used on Android or iOS phones or tablets. 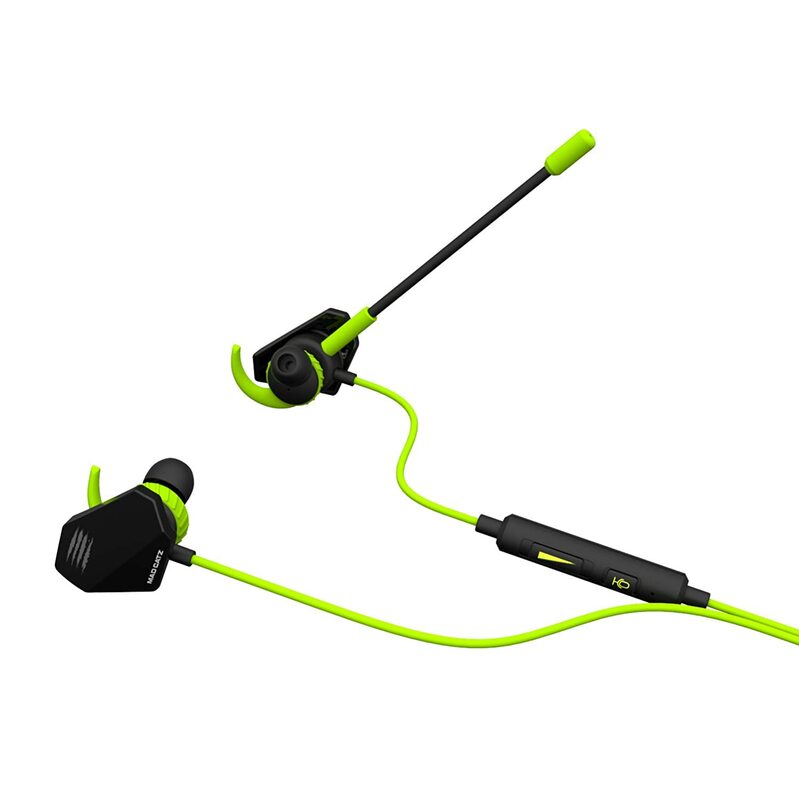 The Mad Catz ES PRO 1 is a pair of in-ear unique in their style. They have a removable microphone and come with dual transducers of 13.5 mm, quite large for the size of the headphones. Whether playing on the PC or talking to someone on the phone, the Mad Catz ES Pro1 are some of the best economical headphones on the market.